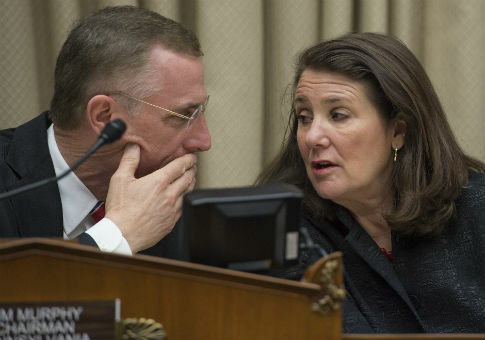 Rep. Tim Murphy (R., Pa.) announced his resignation from Congress on Thursday after text messages surfaced that revealed the pro-life congressman told his mistress to have an abortion. Murphy sent his resignation letter to Speaker of the House Paul Ryan (R., Wis.), Politico reports. Murphy had announced Wednesday that he would retire at the end of his current term. Ryan's office released a statement on Thursday in which the Speaker said he supported Murphy's decision to resign. "This afternoon I received a letter of resignation from Congressman Tim Murphy, effective October 21," Ryan said. "It was Dr. Murphy's decision to move on to the next chapter of his life, and I support it." Several top congressional Republicans had met with Murphy, and had encouraged him to resign rather than finish his current term. Murphy has been a public opponent of abortion in his political career. But text messages between him and his mistress showed him encouraging her to get an abortion when she thought that she was pregnant. The mistress had taken issue with anti-abortion posts on Murphy's Facebook page. This entry was posted in Politics and tagged Abortion, House of Representatives, Resignation. Bookmark the permalink.